The U.S. military has been launching cyberattacks against its opponents in Afghanistan, a senior officer says, making an unusually explicit acknowledgment of the oft-hidden world of electronic warfare. 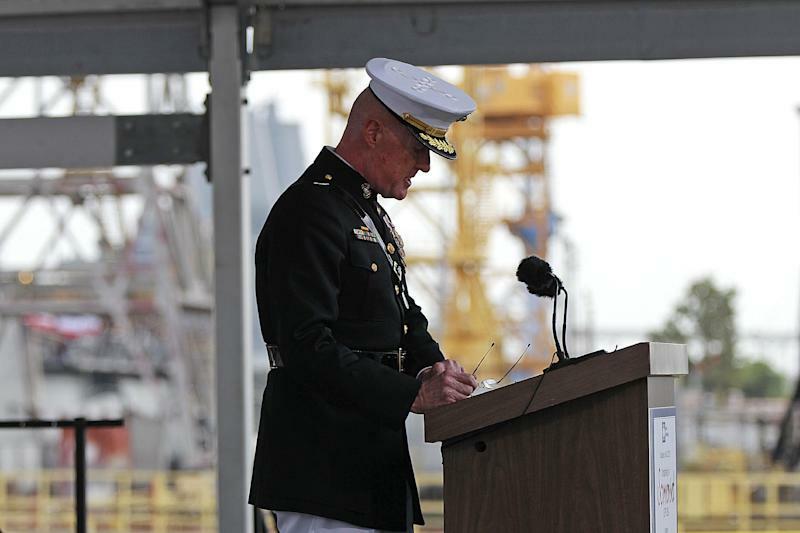 Marine Lt. Gen. Richard P. Mills' comments came last week at a conference in Baltimore during which he explained how U.S. commanders considered cyber weapons an important part of their arsenal. "I can tell you that as a commander in Afghanistan in the year 2010, I was able to use my cyber operations against my adversary with great impact," Mills said. "I was able to get inside his nets, infect his command-and-control, and in fact defend myself against his almost constant incursions to get inside my wire, to affect my operations." Mills, now a deputy commandant with the Marine Corps, was in charge of international forces in southwestern Afghanistan between 2010 and 2011, according to his official biography. He didn't go into any further detail as to the nature or scope of his forces' attacks, but experts said that such a public admission that they were being carried out was itself striking. "This is news," said James Lewis, a cyber-security analyst with the Washington-based Center for Strategic and International Studies. He said that while it was generally known in defense circles that cyberattacks had been carried out by U.S. forces in Afghanistan, he had never seen a senior officer take credit for them in such a way. "It's not secret," Lewis said in a telephone interview, but he added: "I haven't seen as explicit a statement on this as the one" Mills made. Pentagon spokesman Lt. Col. Damien Pickart declined to elaborate on Mills' comments, saying in an email that "for reasons of security . we do not provide specific information regarding our intentions, plans, capabilities or operations." The email said that the Pentagon's cyber operations were properly authorized and that they took place within the bounds of international law and the "confines of existing policy." U.S. defense planners have spent the past few years debating that policy, asking how and under what circumstances the Pentagon would launch a cyberattack against its enemies, but it's only recently become apparent that a sophisticated program of U.S.-backed cyberattacks is already under way. A book by The New York Times reporter David Sanger recently recounted how President Barack Obama ordered a wave of electronic incursions aimed at physically sabotaging Iran's disputed atomic energy program. Subsequent reports have linked the program to a virus dubbed Flame, which prompted a temporary Internet blackout across Iran's oil industry in April, and another virus called Gauss, which appeared to have been aimed at stealing information from customers of Lebanese banks. An earlier report alleged that U.S. forces in Iraq had hacked into a terrorist group's computer there to lure its members into an ambush. Herbert Lin, a cyber expert at the National Research Council, agreed that Mills' comments were unusual in terms of the fact that they were made publicly. But Lin said that the United States was, little by little, opening up about the fact that its military was launching attacks across the Internet. "The U.S. military is starting to talk more and more in terms of what it's doing and how it's doing it," he said. "A couple of years ago it was hard to get them to acknowledge that they were doing offense at all — even as a matter of policy, let alone in specific theaters or specific operations." Mills' brief comments about cyberattacks in Afghanistan were delivered to the TechNet Land Forces East conference in Baltimore on Aug. 15, but they did not appear to have attracted much attention at the time. Footage of the speech was only recently posted to the Internet by conference organizers.